EXPERTS are worried that “black lung” is re-emerging in Australia, but have emphasised that there are clear strategies that could help eradicate the disease altogether. A review published today in the MJA found that international data, along with recent reports of coal workers’ pneumoconiosis (CWP) in Queensland, suggest that there has been a resurgence of this condition, also known as black lung. Dr Frank Jones, President of the Royal Australian College of General Practitioners (RACGP), told MJA InSight that the findings of this review were significant. The authors of the review said that the prevalence of black lung varies considerably between countries and that in Australia there is no mandatory reporting system and no national data on prevalence. The symptoms and manifestations of black lung can vary, depending on the composition of the inhaled dust, duration of exposure, stage of disease, and other factors. Black lung is irreversible and may also develop into progressive massive fibrosis, which can be fatal. The authors made four key recommendations to address the resurgence of black lung in Australia – standardising coal dust exposure limits, implementing a national screening program, developing training materials for GPs, and creating a mandatory, centralised reporting system. “It is unacceptable that any new cases of CWP should be occurring in Australia in 2016, and our aim should be to eliminate CWP in Australia altogether,” they wrote. Dr Brian Oliver, senior lecturer at the School of Life Sciences at the University of Technology Sydney, told MJA InSight that he wasn’t surprised to see that black lung was re-emerging as a health problem. Speaking to MJA InSight about the review’s recommendations, lead author Associate Professor Graeme Zosky, from the School of Medicine at the University of Tasmania, said that there were no obvious barriers to standardising coal dust exposure limits, per se. “[There is] a collective desire to improve conditions for workers. It would require legislation at the national level as exposure limits are currently controlled by the states,” he said. Associate Professor Zosky said that a number of existing health registers could be used as a model for a centralised occupational lung disease register, including the Australian Mesothelioma Registry. Dr Oliver welcomed the strategies outlined in the article. However, he said there was a limitation to the role GPs could realistically play in diagnosing and referring for black lung disease. “The average GP knows about common things. 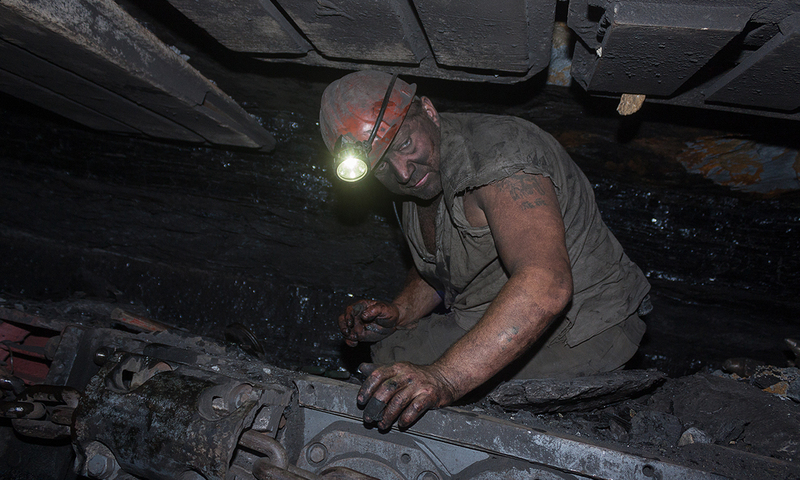 Black lung is rare so, really, why would they know about it? Dr Jones said that the development of specific educational materials for GPs in the detection of black lung might be a useful adjunct. “However, the education and training for respiratory and occupational conditions in general practice needs to be embedded in all aspects of general practice education throughout the GP learning life. Associate Professor Zosky said that any new educational program designed to address re-emergence of black lung should come from a collaborative approach between key experts. These include the Australasian Faculty of Occupational and Environmental Medicine, the Thoracic Society of Australia and New Zealand (TSANZ), the RACGP, the Institute of Occupational Hygienists and the Royal Australian and New Zealand College of Radiologists. “Currently this issue is under discussion with the Queensland government. Suggestions include an annual certification with a course or apprenticeship training and TSANZ is actively involved in these discussions,” Associate Professor Zosky said. Dr Jones agreed on the need for collaboration within the health sector, adding that black lung was one of a wide range of occupational medical conditions that GPs have to deal with. “Successful general practice management needs to take a broad holistic view to the management of these conditions and the RACGP is committed to including this information in training, and working with other organisations to promote the health of Australian workers,” he said.